Lavender! Such a beautiful flower with pleasant scent and vibrant colours! Every time i hear the name, i get a fresh feeling! They look simply divine! Don’t they? Today, I want to make a paper lavender with you. 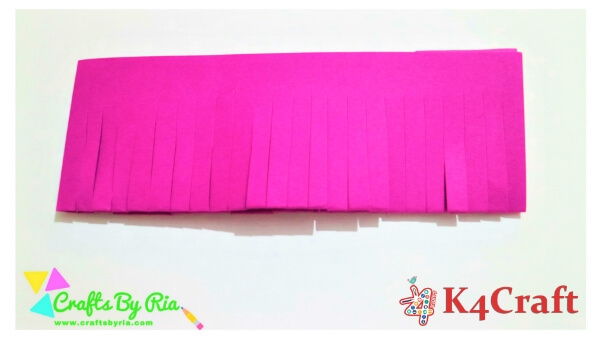 This is a very easy-to-make and perfect craft for kids! 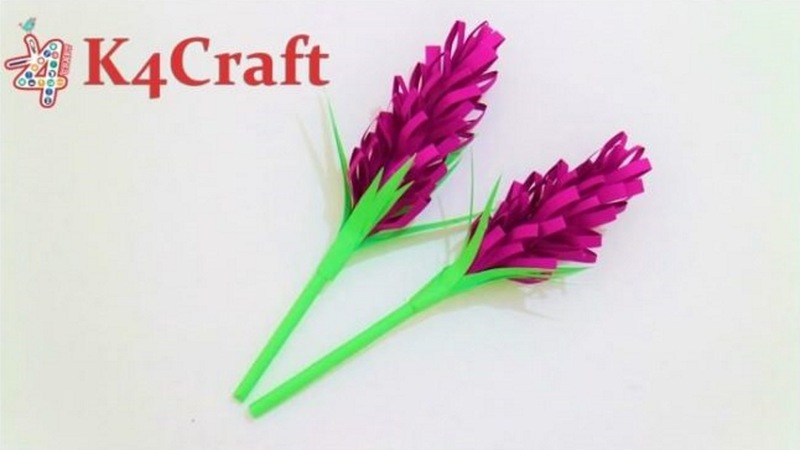 Luckily, I had a few purple coloured papers in stock which were apt to make these paper lavender flowers! 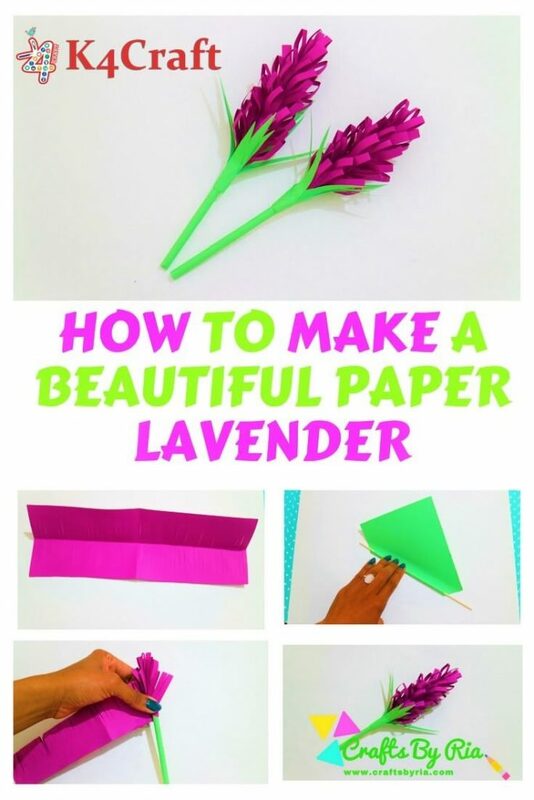 Making this paper lavender is so easy! 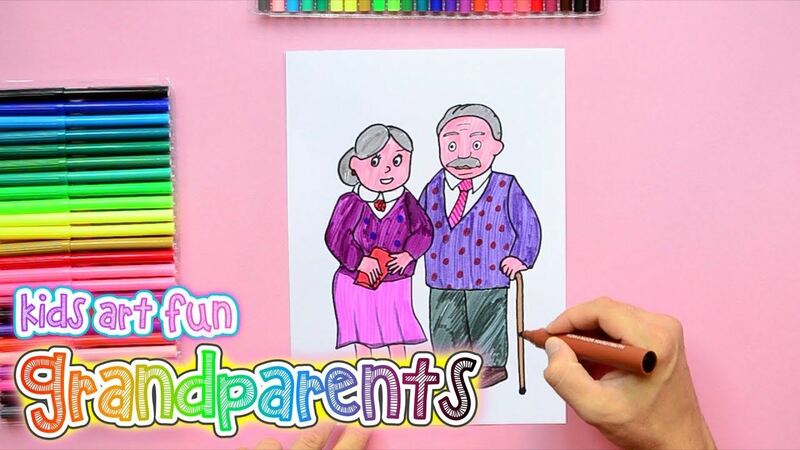 Watch the video tutorial below! Or follow these simple instructions below! 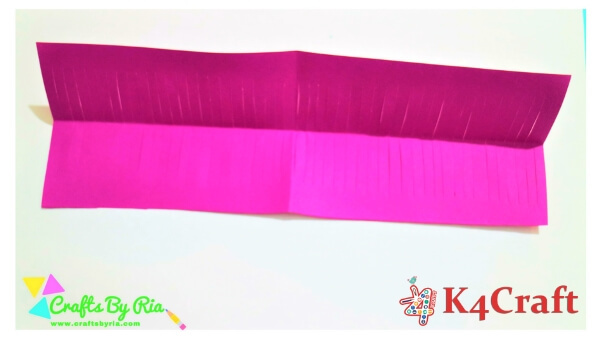 Get the purple coloured paper (or any other colour of your choice) and fold it in half, two times as shown below. 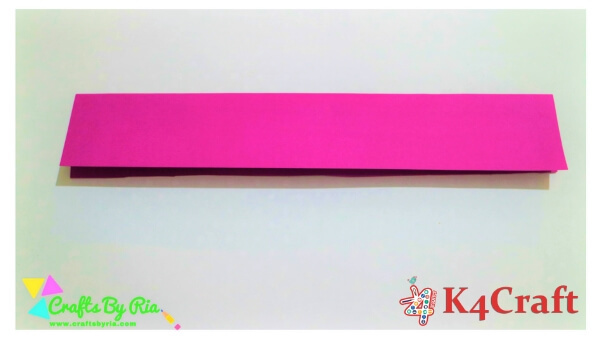 Using scissors, make cuts approximately 0.5 cm apart as shown below. Now, glue both the sides together where the cuts are not present. Let the glue dry. In the meantime, let’s make a stem for the paper lavender! 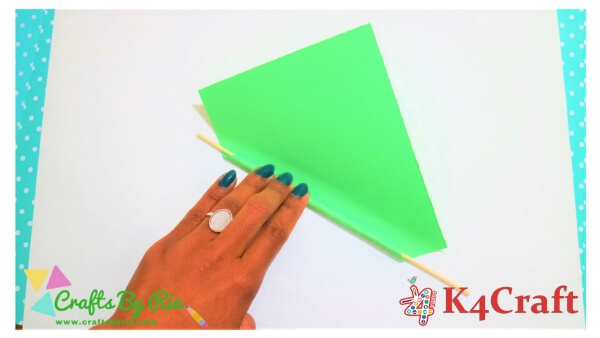 Get the green coloured paper (17 x 14 cm) and roll it from one corner using a skewer. Use of skewer is optional here. 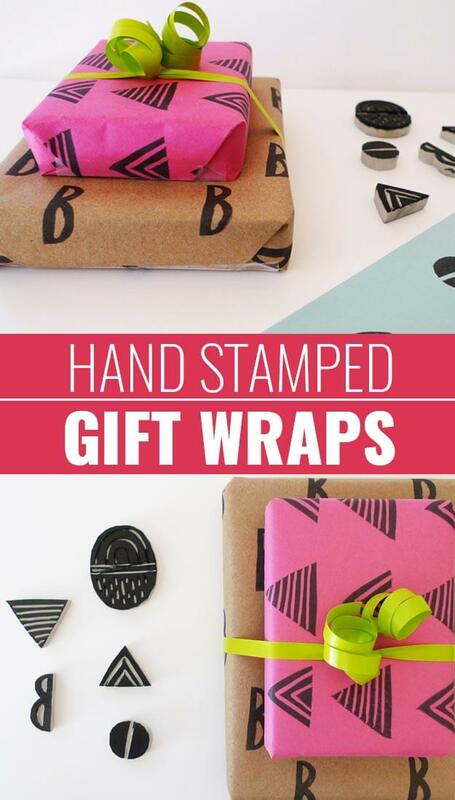 It just helps you to get a perfect roll and makes the rolling easier. 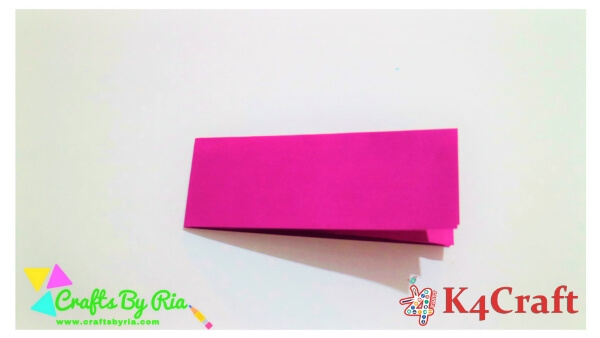 Once you roll it fully, fix the end using glue. Cut off a little bit from both the ends of the stem to make them perfectly round. 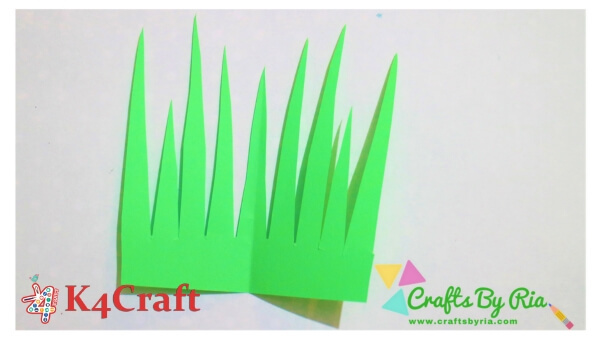 Now, take another green paper (14 x 12 cm) and cut it as shown below to form the leaves. Let’s connect all the pieces we just made to each other! 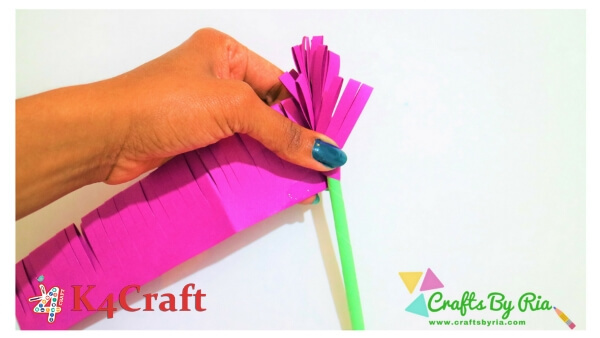 Take the purple coloured paper from step 4, stick it on the top of the stem. 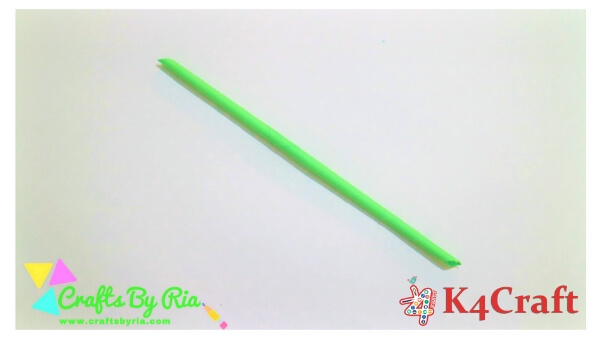 Now, start rolling it around the stem downwards while sticking it to the stem using glue at the same time. 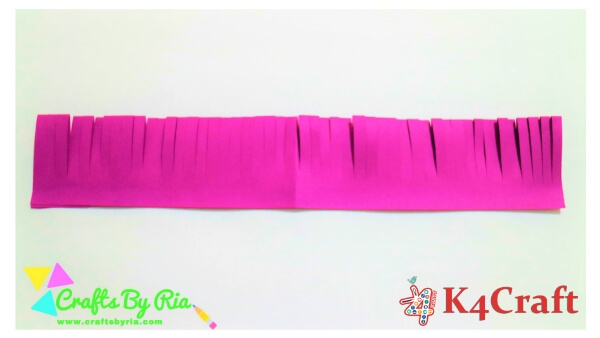 Now, glue the leaves around the stem and gently fluff up the petals of the flower with your fingers. That’s it! 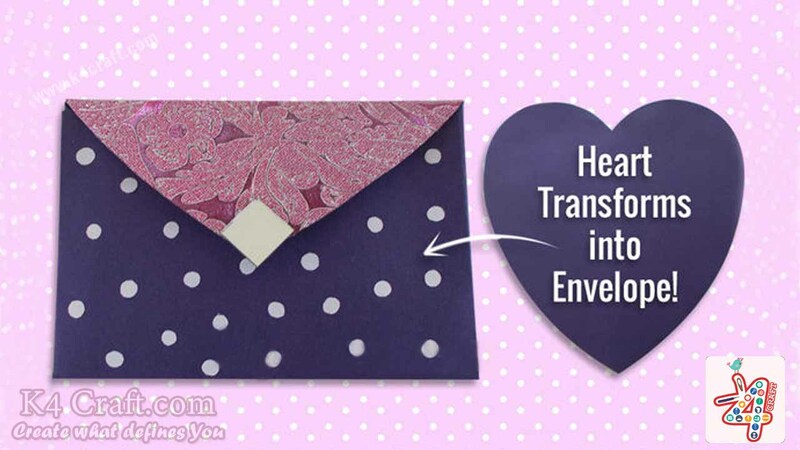 You have made a gorgeous paper lavender! How easy was that!